NeoGAF poster TunaLover says he wrote a letter to Xseed, the small game company that brings Japanese games to North America. With the recent news about Pandora's Tower localization is really hard not asking for another great game that has not reached our continent yet, I'm talking about Project Zero 2 (known as Fatal Frame 2 in America), I wonder if the company would bring this game over here, it seems you have build a loyal niche fan base that seek your releases on Wii, now that your relationship with Nintendo seems quite close, there are chances for Project Zero 2? Thanks, for Pandora's Tower and Last Story! Xseed could have ignored it. They could have responded with an automated "Thank you for writing!" letter. They could have written a boilerplate "We have no plans to blah blah blah." They could have said they don't comment on rumors or speculation. Instead, as Barrera/TunaLover writes, Xseed vice president Ken Berry sent over a personal note. 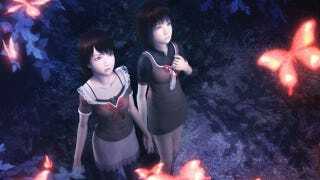 Afraid that we have no intention of trying to publish any Fatal Frame titles. Speaking to Tecmo Koei America is going to be your best bet for that title. It's a single line, and it's nothing but bad news for the person who asked, but it's human. It's honest, and open, and completely transparent. In an industry that surrounds itself with cool, corporate silence, where big publishers often respond to questions with robotic responses like "We have no information at this time" or "We cannot comment on rumors and speculation," it's refreshing to see companies giving honest answers when they can.